Jerry is in charge of firm operations and client services. His previous administrative experience includes 14 years serving as Principal, VP and CFO for a successful West Coast real estate syndicator/property manager. 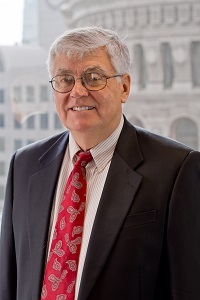 He also held ownership/key leadership positions with several other companies and was a Tax Supervisor with the public accounting firm of Peat Marwick Mitchell & Co. He started his own practice in Concord, CA and merged it into Morling and Company in 1997. Providing a wide range of professional services to our clients, He joined Morling and Company to manage its Business Services Department and serve a variety of individual clients. In addition to client advisory and tax planning services, He works with business clientele in the areas of start-up consulting, financial analysis and management. Jerry was a founding member and Chief Executive Officer for Morling Financial Advisors, a Registered Investment Advisor. MFA provides financial planning and investment advice to Morling’s clientele. He served as Chairperson for the San Francisco Chapter of the Management of Accounting Practice Committee of the California Society of CPAs. Jerry can be reached at 415-956-9500 ext. 124 or by email at jerry@morling.com.